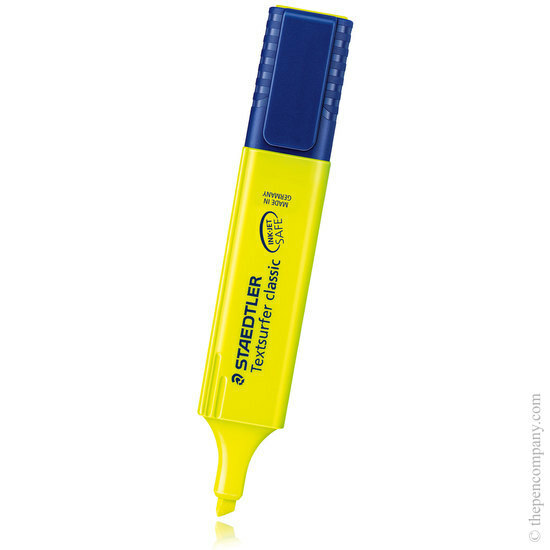 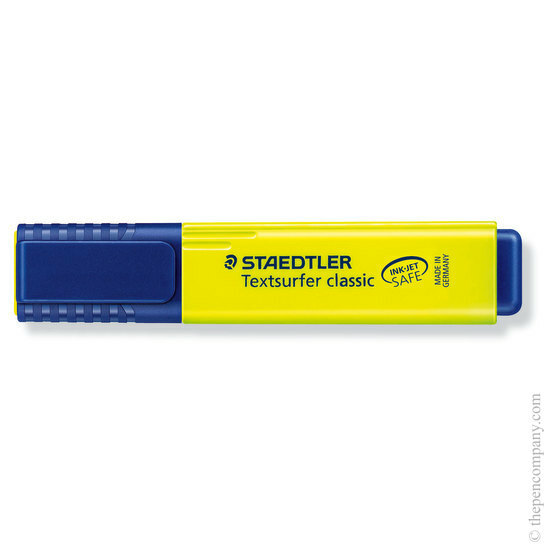 The Staedtler Textsurfer Classic highlighter has an extra large ink reservoir for long product life. 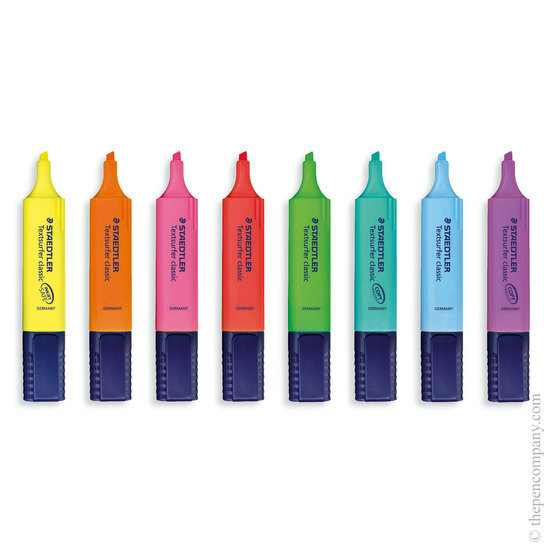 The fast drying ink is available in six different colours, with the violet and turquoise being suitable for use on documents that are to be photocopied. 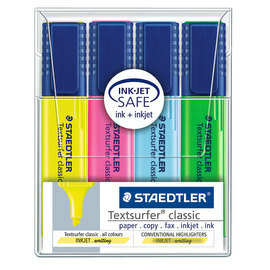 The ink is fast drying and lightproof and is also generally washable from most textiles. 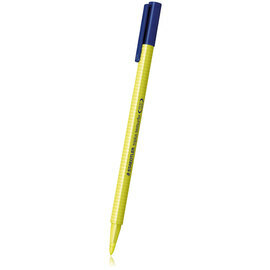 The ultra-soft chisel tip will produce a line from 1mm to 5mm wide.